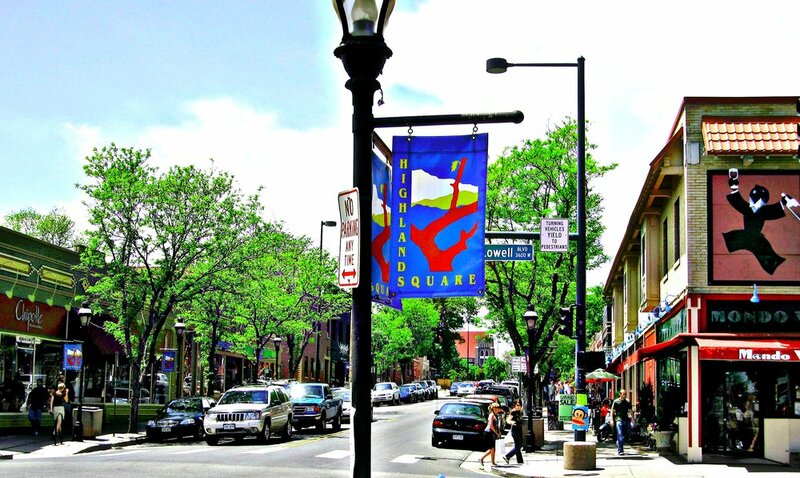 Highland is a distinct city-center neighborhood in Denver, Colorado, bounded by West 38th Avenue to the north, a Union Pacific Railroad line on the east, the South Platte River to the southeast, Speer Boulevard on the south, and Federal Boulevard on the west. The misnomer Highlands is sometimes used to refer to two separate city-center neighborhoods in Denver, Highland and West Highland, in although the two neighborhoods are distinct. Highland and West Highland are both in the area that is referred to as North Denver. is located immediately northwest of downtown. Note that the Highland neighborhood association has a slightly different definition with the easternmost boundary stopping at I-25. And the West Highland neighborhood to the immediate west of Highland, with the borders of 38th and 29th Avenues on the north and south and Federal and Sheridan Boulevards on the east and west. To distinguish between its immediately adjacent neighbor, West Highland, Highland is sometimes referred to as East Highland, Lower Highland or LoHi. 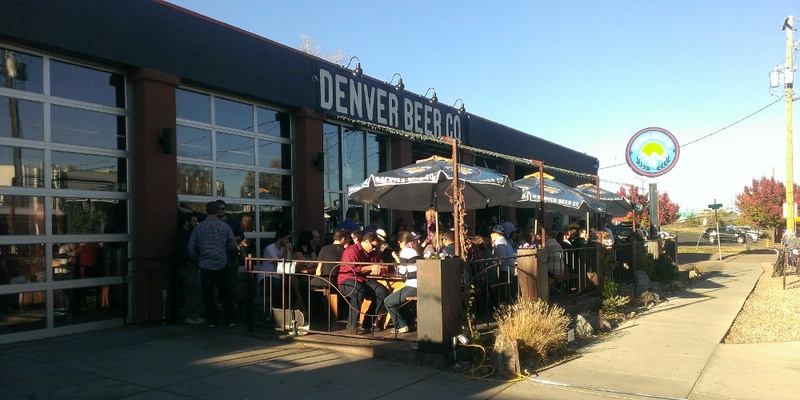 The two together are casually called "the Highlands," a term which often falsely encompasses other Northwest Denver neighborhoods such as Jefferson Park, Sunnyside and Berkeley. Realtors have particularly pushed the inclusion of the recently gentrified Berkeley, located directly north of West Highland, as part of the Highlands, sometimes going so far as to refer to Berkeley and parts of Sunnyside as the "Upper Highlands". To add further confusion, within the Highlands neighborhoods there are several historic designations of various degrees, including Potter Highlands, Scottish Highlands and Highlands Park. 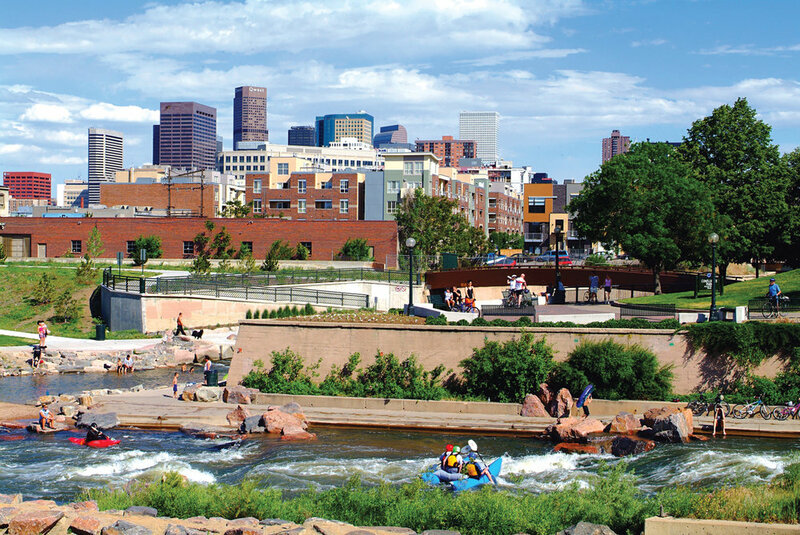 "No more handsome location for residences can be found than on the highlands of Highland, on the opposite side of the river from and overlooking Auraria and Denver, and a vast extent of surrounding territory." In 1875, Owen Le Fevre and other developers petitioned the Arapahoe County Commissioners to establish a village government. After annexing Potter Highland and Highland Park, they formed the Town of Highlands which became a city in 1885. Residents were fairly homogeneous. Most were Protestant and they tended to vote Republican. Many men participated in the Masonic Lodge and other similar clubs. In 1892, the young men of Highland formed the North Denver Athletic Club which gave them facilities similar to those enjoyed at the Denver Athletic Club, playground of Denver's elite. The women joined churches and other societies. One society of note was the North Side Women's Club, where they heard lectures and completed good works around the area. The residents also counted on Owen Le Febre's artesian well for clean drinking water and the breezes from the west provided clean air by blowing away any smog. Residents supported bond issues for schools, a library, and other civic improvements because they expected to have those services. The founding fathers eventually found it difficult to maintain such city services. In 1896, after considerable discussion, the residents voted to allow Denver to annex the town. The arrival of the Denver Tramway Corporation streetcar line in Highland better connected the area to downtown Denver and led to growth. As a streetcar suburb, Highland developed commercial centers near streetcar stops, some of which still exist today, including 32nd Ave and Tejon, 32nd Ave and Zuni (then called Gallop), 32nd Ave and Federal (then called "The Boulevard" or "Boulevard F"), as well as 32nd and Lowell in the West Highland neighborhood, now renamed "Highland Square". The streetcar system was later dismantled in the 1950s.